I was very impressed with 2014’s DIVERGENT. 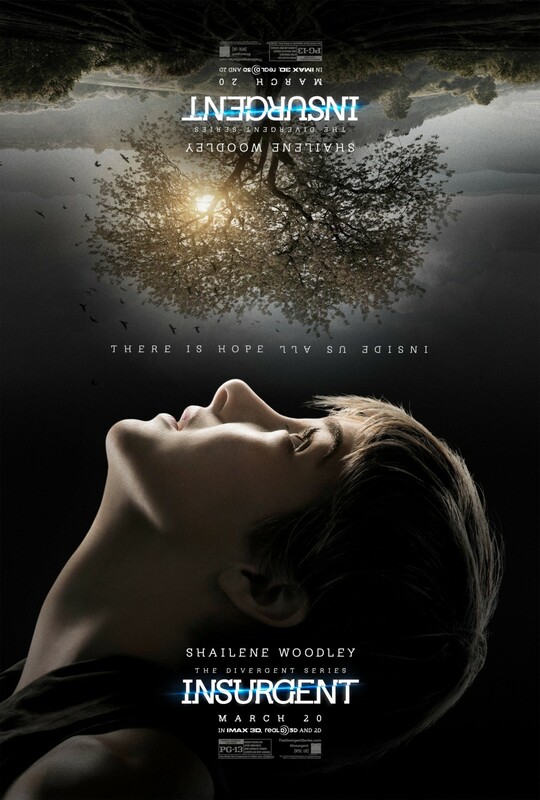 The film managed to take an interesting young adult novel by Veronica Roth and condense many of the themes into a format more palatable for the cinematic experience. 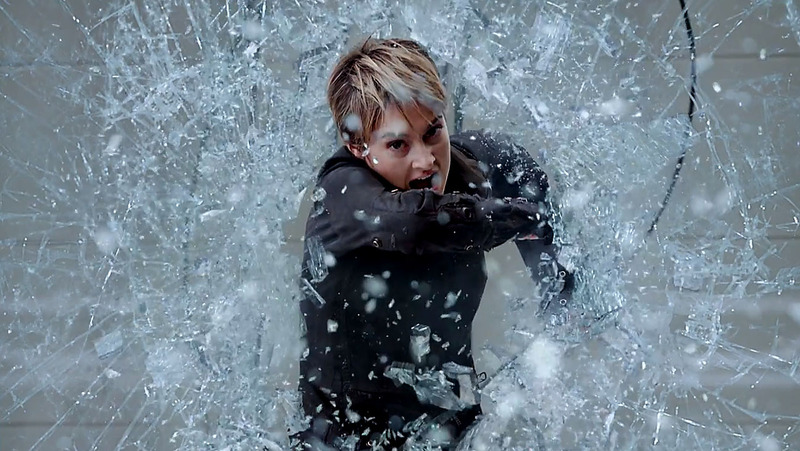 The performances were mostly commendable, particularly Shailene Woodley as the main character Beatrice “Tris” Parker. Director Neil Burger handled the material with respect and grace. While similarities to other young adult franchises such as THE HUNGER GAMES were evident, DIVERGENT made its own statements about the value of one’s own individuality, the self-destructive societal practice of putting everyone into categories and the ability to discover strengths you never knew you possessed. I’m sad to report that most of that has been trampled into dust by the immensely underwhelming sequel INSURGENT. This is not what I signed up for. Please note that the synopsis that follows recounts some of the events of DIVERGENT, contains minor spoilers for INSURGENT and will read like nonsense to those lacking a familiarity of either. After successfully putting a stop the simulation that resulted in the massacre of an entire faction, our heroes are now fugitives running for their lives. They try to find shelter wherever they can, but both the Amity and Candor factions are unable to protect them. They spend much of their time running, finally settling temporarily with the factionless outcasts of society. Meanwhile, the forces of Erudite raid the other factions with increased purpose. Jeanine (Kate Winslet) leads the forces of Erudite in her pursuit of the Divergent, the individuals whose personalities do not conform to one of the five recognized factions. Publicly, she has denied all responsibility for the events of the last film. Her troops, made up of former Dauntless who have sided with their slavers, are hunting for someone who scores a perfect 100 percent on the Divergent Scale, a Super Divergent who will be able to open a Mystery Box that Jeanine is convinced will ensure the safety of the factions. 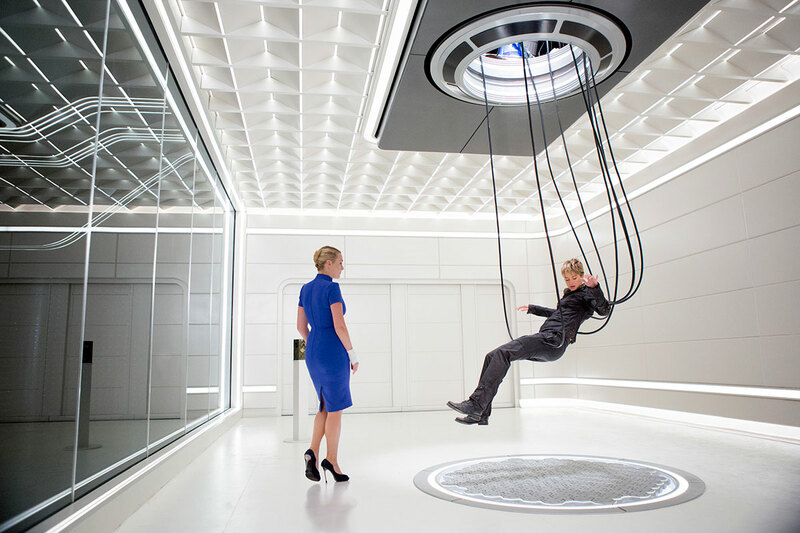 Not surprisingly, Tris turns out to be this Super Divergent and she will have to go through simulations designed for all five factions in order to open the box. Those who are fans of the books, most of whom have unfortunately probably already seen INSURGENT, will notice that this is not the same plot contained in the novel. Indeed, the INSURGENT film begins a trend which is not uncommon in films as a whole but is almost unheard of in the recent adaptations of young adult novels. In short, they have left the bare bones of the story intact but have changed virtually everything else, including the plot and ultimately many of the novel’s initial messages. This doesn’t seem like a big deal until you consider the oath of fealty so many of these films have taken to their source material. Up to this point, only less successful adaptations such as THE GOLDEN COMPASS have made significant changes. But in terms of actual franchises, everything from HARRY POTTER to TWILIGHT to HUNGER GAMES has managed to keep fans happy by staying relatively true to their source material. Not only does this get thrown out with the DIVERGENT series, it happens in the second film of the series rather than the first, causing the story to radically change direction into something that seems a bit too simplistic based on what has come before. And that’s the point I am trying to make. Changes in the source material are not a crime in themselves. Literature and cinema are two different forms of art and many films have succeeded while making drastic changes to the source material. But the changes in INSURGENT do not improve on the material, nor do they balance the characters or keep the action moving in a satisfactory manner. Looking at the sloppy and anemic material in INSURGENT, one would be surprised if the story had originated in an eight-page pamphlet much less a novel. So, when I point out the changes, it is not griping that changes have been made (though I’m sure there are some younger fans out there who are currently feeling that sting). It’s to point out the comparatively detrimental effect these decisions have on the film and most likely the rest of the DIVERGENT film series. Gone is any sense of intrigue regarding the power structure within the factions. There is no quest to protect vital information, hence the group just drifts without purpose from one place to the next. A closely guarded secret in the novel is instead blurted out by the very character who kept it hidden within the first ten minutes of the movie. The psychological struggle between Tris representing the individual and Jeanine representing the conformist has been replaced by this ridiculous notion of the Mystery Box, something that feels like a tired plot device from the very moment it is introduced. The building of an army and raid on the enemy compound? Off-screen and of little consequence. The clandestine counter mission? Gone. Any sense of nuance in the characters has been obliterated. Everyone except Tris is a blank cypher who wears their emotions and intentions on their sleeves. A storyline about Tris’ guilt over killing a friend and its ramifications on her friendship with another is introduced but glossed over within seconds as the writers continue to stamp out anything that cannot be solved in a few lines of dialogue. Most troubling, many characters have been replaced, drastically reduced or in several instances omitted altogether. What is left is a shell of a story. Everything seems dumbed down, as if the film is constantly trying to play down anything requiring even a moment’s thought. It patronizes the audience at every turn in its insistence that no one will understand anything but the most haphazard of storytelling shortcuts and no one will care if it doesn’t actually work. There are three writers, each working separately, credited here. I imagine it took one to actually tell the story and then another two to ruin it. Neil Burger didn’t direct INSURGENT and he is sorely missed. While Francis Lawrence was able to take over for Gary Ross on the HUNGER GAMES franchise, Robert Schwentke (R.I.P.D., RED) either does not have the ability to handle the material or the desire to do so. Schwentke’s direction is shockingly uninspired which much of the scenes looking like rough footage that hasn’t gotten a post-production clean-up. He demonstrates little care for how each scene flows as long as he can sneak in a few CGI-enhanced money shots for the trailers. In the case of INSURGENT, Schwentke is troublingly generic, cynical and one-note behind the camera. The film looks rushed, which of course it was. But a film with a budget over $100 million should not look as shoddy as INSURGENT so often does. 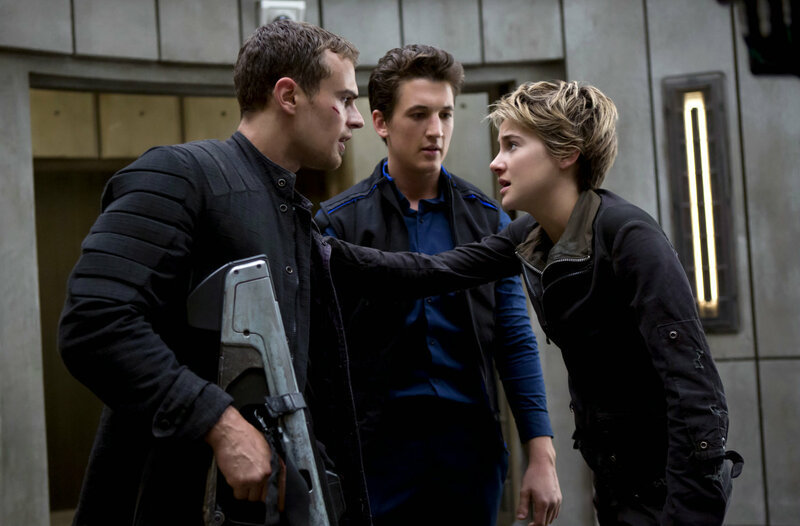 Take for instance a scene in which both Tris and Four (Theo James, who is left with nothing to do in this installment) have to undergo an interrogation at Candor. This is a scene in which even the script clearly calls for a great hall, courtroom or something similar. And yet the sequence looks as though it was filmed in a hastily-dressed corner of a warehouse with only a few people thrown in as witnesses, literally hugging the walls because the set can’t hold more than a handful. That’s a lot to dislike about INSURGENT, so is there anything worthwhile? Yes, thankfully. Every character gets shortchanged this time out (except perhaps Miles Teller’s treacherous Peter, oddly enough), but because she is the focus of the story, there is an emotional arc for Tris. In this, Woodley continues to do a fine job. The way her arc is written, in which she must learn to let go of her guilt and regret and embrace the person she is, needs work. But Woodley manages to infuse it with more care and depth than one would expect from the material. Because of this, scenes that rely on her to move the film forward work. This includes the simulations she must endure in the film’s third act. Woodley is a fine actress and I believe she will continue to have an interesting career after the DIVERGENT series comes to a close. Another pleasant surprise is the score by Joseph Trapanese. Utilizing electronic and string arrangements, it’s the rare score that not only serves its material but transcends it. Trapanese’s score is one of the most exhilarating I’ve heard in a while. Due mainly to Woodley’s handling of the material, INSURGENT isn’t a complete disaster like other 2015 misfires such as JUPITER ASCENDING or MORTDECAI. But for those like me who saw great potential in DIVERGENT, this sequel is a crushing letdown. INSURGENT has been mishandled and for the most senseless of reasons. At this point, I have little hope that the rest of the series can recapture what made Roth’s storyline or Burger’s initial film so interesting in the first place. Disappointing.